Instant Pot Cheesy Hamburger Dip is a meat and cheese dip match made in food heaven. Savory beef flavored with onions and taco seasoning is blended with creamy cheese, tomatoes, and green chiles. If you’re looking for a cheesy hamburger dip to feed a crowd, this is it! Meaty, cheesy, and great for sharing! If you’ve been a follower of our site for a while, you know how much we like dips. We have everything from turtle cheesecake dip and key lime dip to BLT dip. Dips are just something we love! Most of our savory dips use flour and butter (roux) as a base. They’re also made in the slow cooker or on the stove top, so they can be a bit time consuming. 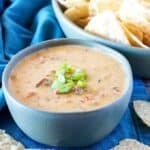 I’ve been working on an easy cheese dip recipe for the Instant Pot for several weeks. 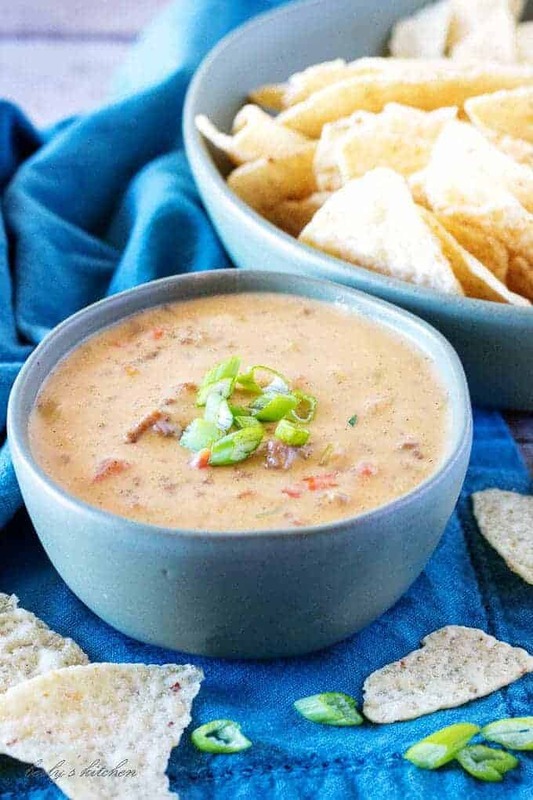 It needed to be something similar to our beef queso dip but easier. More of a “dump and go” type of recipe. After several attempts, we created a hamburger dip recipe that is flavorful, simple, and only takes a few minutes to prepare. 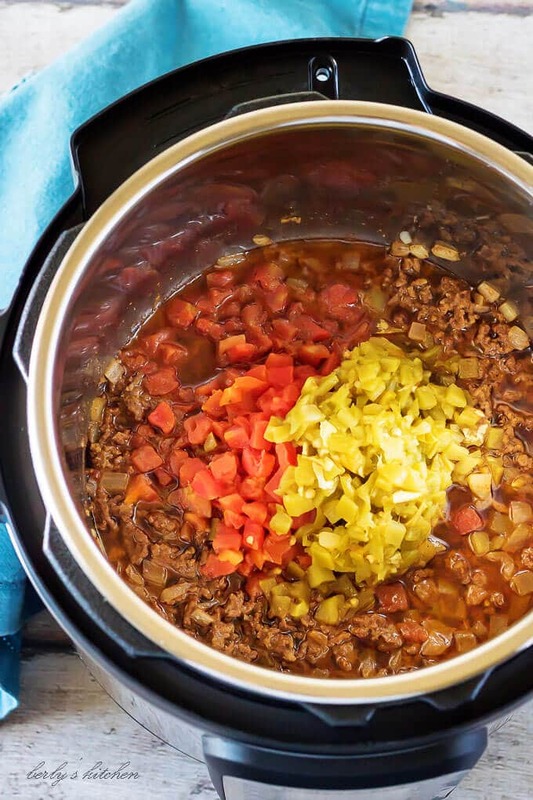 All you need is a few ingredients and an Instant Pot! I’ve listed some “best practice” tips below, including one about which type of meat we use. Be sure to check it out before you go! 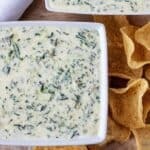 This cheese dip is super easy to make! Start by turning the Instant Pot to saute. Then add the butter, ground beef, onions, and taco seasoning. Use a wooden spoon to separate the meat into small pieces, and allow it to brown a bit. Cook the meat until it’s completely browned. Next, add the tomatoes and green chiles along with their juices. Close the Instant Pot, ensuring that the valve is on “sealing.” Set to high pressure (manual/pressure cook) for 6 minutes. Allow the Instant Pot to complete a natural release for 10 minutes then remove the lid. Add the evaporated milk and stir in the cheeses a little bit at a time. If the hamburger dip is too thin, add a cornstarch slurry to reach the desired thickness. Serve immediately! 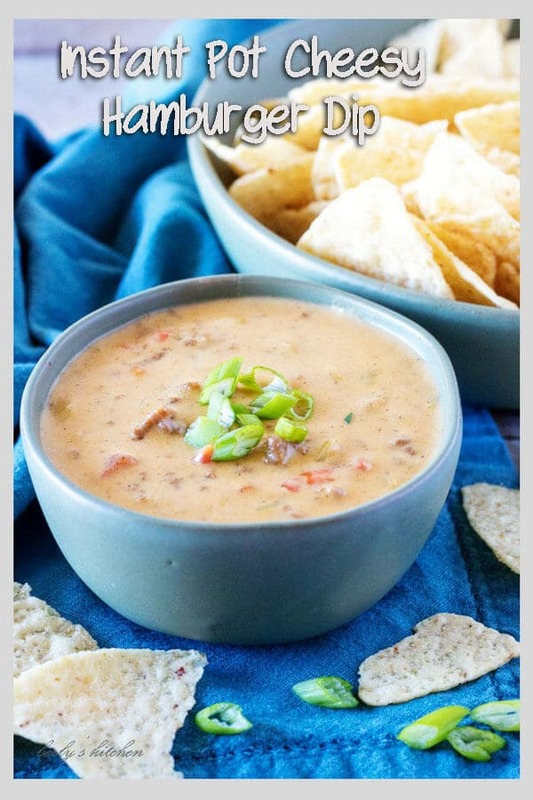 *See the tips below about cheese dip thickness and the slurry. We’ve used 93/7 and 80/20 ground beef, and both worked equally well. We haven’t tried this recipe with other meats like chicken, turkey, or pork. However, a variety of ground beef options work. We didn’t drain the grease from the ground beef before adding the tomatoes and chiles. (See the video for an example.) Draining the grease is certainly an option. Simply remove the meat mixture from the Instant Pot before adding the tomatoes and chiles. Drain the meat on paper towels, and return it to the Instant Pot. Use a wooden spoon to scrape the bottom of the Instant Pot while cooking the ground beef. Otherwise, it may stick, and you may get a “burn” warning. Use a cornstarch slurry to thicken the cheese dip to your desired thickness. Since we didn’t drain the grease from the beef, the dip was a little thinner than we liked. Therefore, we added a cornstarch slurry to tighten it up a bit. Thickness really is subjective, so make it as thick or as thin as you like! 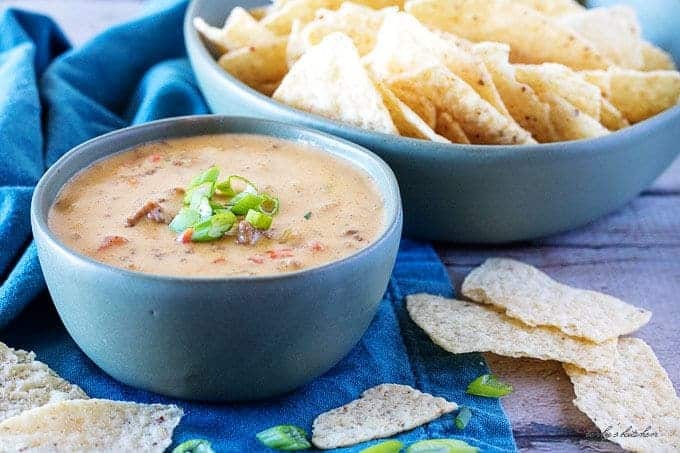 Instant Pot Cheesy Hamburger Dip is a meat and cheese dip match made in food heaven. Savory beef flavored with onions and taco seasoning is blended with creamy cheese, tomatoes, and green chiles. 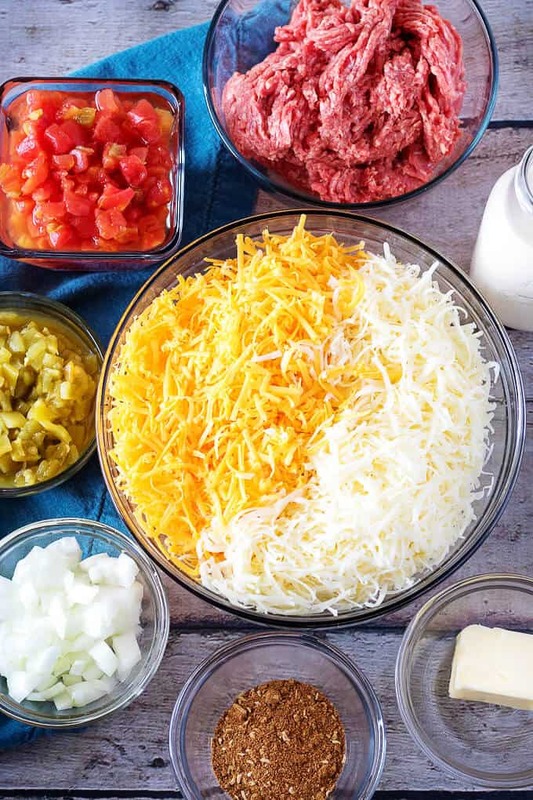 If you're looking for a cheesy hamburger dip to feed a crowd, this is it! Meaty, cheesy, and great for sharing! Set Instant Pot to "saute." Add the ground beef, onion, butter, and taco seasoning. Use a wooden spoon to break the meat into small pieces and brown completely. Add the Rotel and green chiles. Close the lid, make sure the valve is set to "sealing," and set the Instant Pot to high pressure (manual/pressure cook) for 6 minutes. Allow the Instant Pot to natural release for 10 minutes before opening the valve. Pour in the evaporated milk, and stir to combine. Stir in the cheeses a little bit at a time. If the cheese dip is too thin, set the Instant Pot to "saute" and add the cornstarch slurry (cornstarch mixed with water). Use small amounts at a time, and stir to mix. The dip will thicken as the temperature increases. You may not need all of the slurry. *Calories listed are approximate based on serving size and generic ingredients. *Please see tips in post regarding best practices. 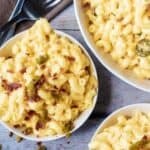 *This recipe was made using a 6-quart Instant Pot. This looks amazing! It’s such a good idea to not drain the grease from the beef! I cannot wait to serve this at our next party! Thanks, Faith! 🙂 This is perfect for parties! This looks divine and perfect for a party!!! I love all things cheese! This looks really simple to make. It is really simple and full of cheesy goodness! 🙂 Lol! This looks so amazing!! I really really need an instant pot so that I can make it. Thanks, Leigh! I didn’t think we “needed” an Instant Pot, but I’m so glad we have it. 🙂 Lol! This cheeseburger dip looks so good!! I’m going to pin this for football season. This sounds so good! 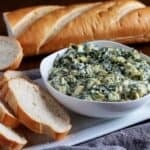 I love dips to begin with, but cheesy dips are even better, and this sounds so simple! I love that you’ve included the nutritional information for this recipe, I wish everyone would do that!